China’s People's Liberation Army has always defended the party as much as national borders, notes "j. von hettlingen." How much influence does the military have over decision making? As Mao put it, “Power flows from the barrel of the gun.” By that, he meant that the Party would always require the force of arms as its final defense. But he, and his heirs, also engineered the system to ensure that civilian power would predominate, and we have seen that, for the past 30 years, China’s diplomatic and military posture has been secondary to its development imperative. The military is getting more assertive but, for now, it is not an independent power. “Hen na gaijin” raises the issue of the South China Sea. How likely is a clash over territorial disputes there or the East China Sea? The danger is not of a strategic decision but of a mistake – a miscalculation, an error, a clash – and that danger gets larger as more vessels crowd into a confined space. Importantly, it can be said that Chinese leaders, even the more hawkish wing, do not actively seek a conflict simply because the Party’s operating principle is to control – and a conflict, by definition, has too many variables it cannot control. The Party knows that one of the few things more destabilizing than a conflict would be a conflict in which it loses. What is motivating China’s cyber activities, asks Matthew Carr through Facebook. How concerned should other countries be? It’s activities are motivated by the kind of military and diplomatic ambition that accompanies the rise of any great power - and a sense that its time has come to make up for lost ground in the race of technological superiority. The U.S. and other powers see cyber as an indisputable new front, and are putting their own resources into it accordingly, so China is not unique in this regard. But China’s cyber activities have been especially intense because it still sees itself, fundamentally, as engaged in asymmetric competition with the United States, and cyber – like insurgent or guerrilla operations – provide advantages to the weaker party in a conflict. One analyst has suggested that an Arab spring like revolution could arise if a significant burst in the real estate bubble occurs, says “H”. Is the communist party ready for such an eventuality? I think real estate by itself is not significant to cause social unrest, but it contributes to the social tensions beneath. The government has managed to steer the real estate market through highs and lows in recent years more successfully than many analysts predicted, and I suspect that continues. But that does not alleviate the prospect of social unrest, which is fed by factors ranging from environmental deterioration to corruption and land seizures. China is generally seen as the country with the most leverage with North Korea. Norman Morford asks through Facebook what developments we can expect to see in the relationship? Its overriding priority in the relationship is to preserve the status quo – not because it likes the current tension (it does not) but because it fears what could come after. It feels no immediate threat from its erratic neighbor, and it is willing to allow a degree of uncertainty to ensure that Kim stays in power, because that precludes the creation of a democratic Seoul-backed, U.S.-allied government on China’s border. Next entry »Is Bahrain serious about reform? usa cant even touch china i dear usa to have the balls to touch china once when that nuke hits boston 20 millon dead us women and children will be blown to pieces come on usa make bye day try to pick a fight it will be so funny when the enitre western civilzetion gets burned of the earth and the pages of history in 4 seconds. It calculated, before it acts. America does go to war, where it expects to win. What a good story, from CNN. One of our blog mates, j. Von hettlingen invited by CNN. He stated, "How much influence does the military have over decision making?". Well, first of all, U.S. gave much opportunities to China to rise. China never refuse low wages. They keep taking it, without bargain. To them, every Penny counts. Now, those pennies makes big differences and jeopardized America's future. During his first-term, at the White House gathering with Chinese Government Officials, when President Obama declared, "Made in U.S.A items", Chinese journalist asked, "What do you have to sell for China?". President Obama respond with hesitate, "Some parts and...and planes". The Chinese Journalist laughs. The main thing is, THE WORLD WITHOUT AMERICA = CATTLE WITHOUT SHEPPARD. Arrogant idiot! The world without America = Fewer wars, hot and cold! No multinational corporations, and NO GMCs that's killing of the soil. You sir, are a cattle that needs to be led. Good articile and it gives us a little more understanding of the China situation. China seems to be using its political powers differently today then even ten years ago, a much more listen to the people approach, which I guess they have to do in order to maintain control. Between the labor strikes and people refusing to have toxic facilities located near their towns pressured has been applied and alternatives have been searched for to appease groups that previously would have just been taken away and never heard from again. With Li Keqiang replacing Wen Jiabao, the former premier will have plenty of time to mull over his past tenure. 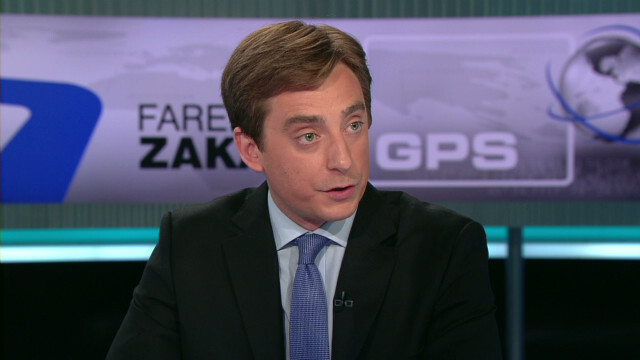 Fareed had interviewed him twice on the GPS show. Wen gave the impression that he knew John Stuart Mill's works by heart. Now he has plenty of time to read. He could also buy himself a parrot and name it "New York Times", just like President William McKinley, who named his pet "Washington Post". "The Party knows that one of the few things more destabilizing than a conflict would be a conflict in which it loses." Osnos is wrong about this. Political scientist Bruce Bueno de Mesquita has pointed out in several publications that authoritarian nations can lose wars without any real damage, provided they can continue to provide goodies to the right people. The people who run China – top level bureaucrats and generals – probably realize that under a new government not led by Xi Jinping, they will not have access to all the perks they do now. So even after losing a war, why would they side with someone else? That is who really matters, not the angry mobs of average Chinese who might be upset about losing. They don't have the guns or control the water and power supply. I would like to add that if you do not already have got an insurance policy or maybe you do not form part of any group insurance, chances are you'll well benefit from seeking the assistance of a health insurance broker. Self-employed or those with medical conditions ordinarily seek the help of a health insurance broker. Thanks for your post. Wow, incredible blog layout! How long have you been blogging for? you make blogging look easy. The overall look of your website is great, let alone the content!. Thanks For Your article about Osnos responds on China & .